AND THESE DID NOT COME BACKAmerican cemetery located on the west side of Cuisy-Septsarges road. 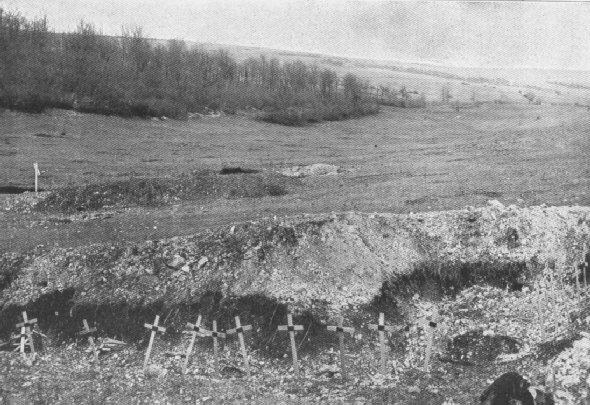 4th Division, Cuiisy, France. 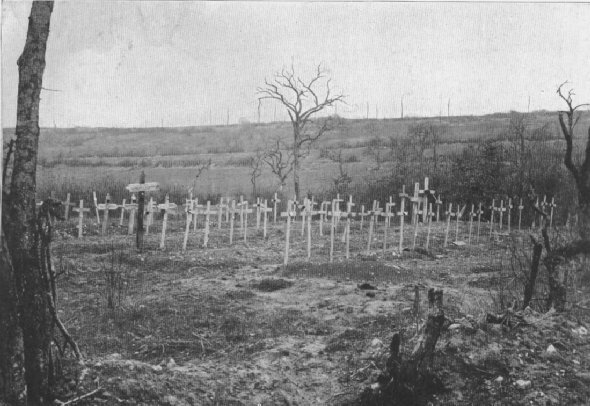 ETERNAL REST IN THE TRENCHES WHERE THEY FELLAmerican graves in trench on southeastern edge of the Bois de Fays. Near Brieulles-sur-Meuse.